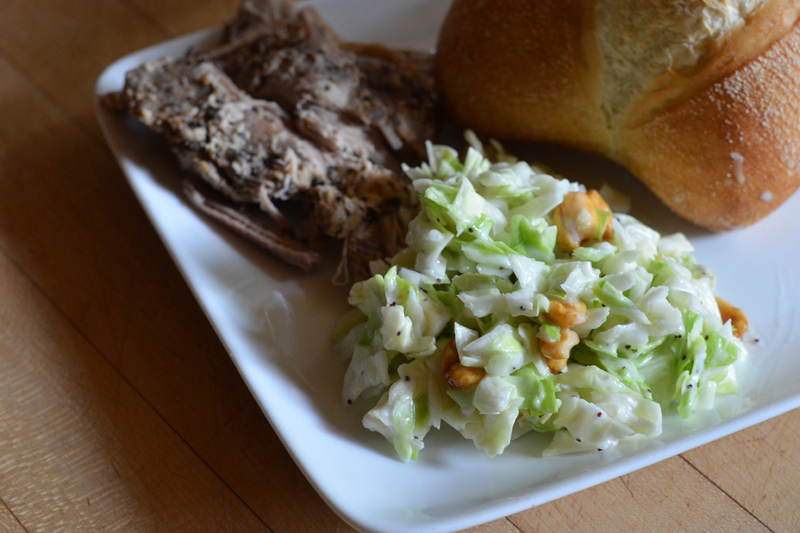 This coleslaw is a staple side dish in our house. 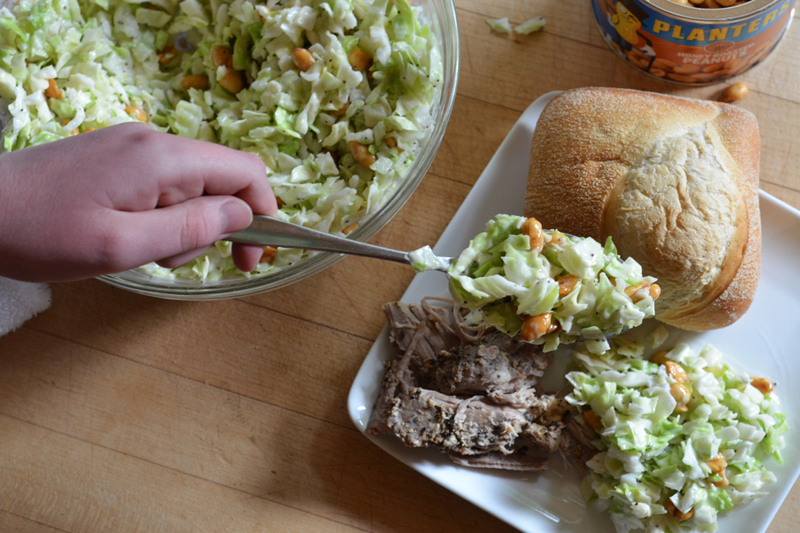 It is so fast and easy, yet so so delicious (definitely a win-win). 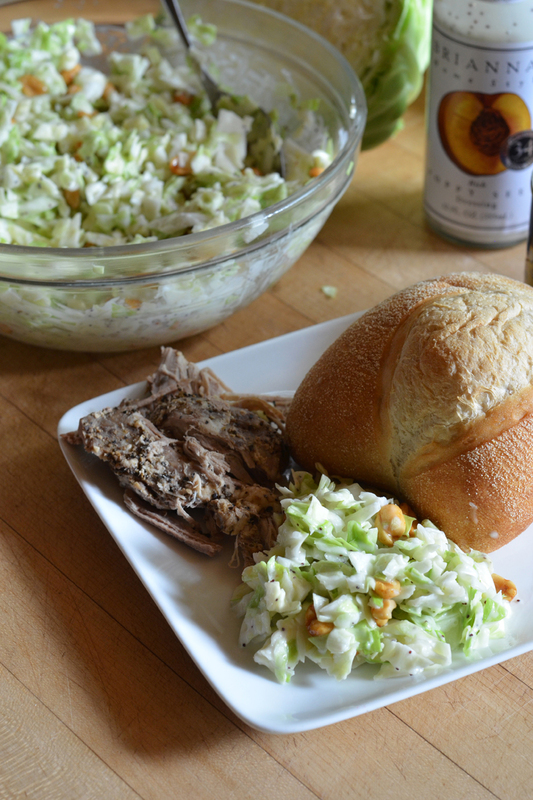 Also, the recipe for this amazing fall apart crock pot pork tenderloin featured in these pictures is HERE. 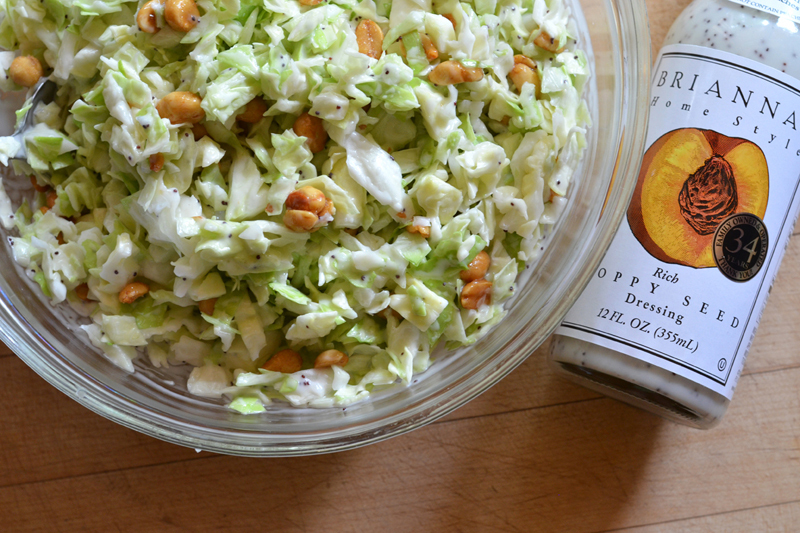 We call this recipe Crash Test Coleslaw in our house. My father, a mechanical engineer, has done a lot of crash testing in his career. 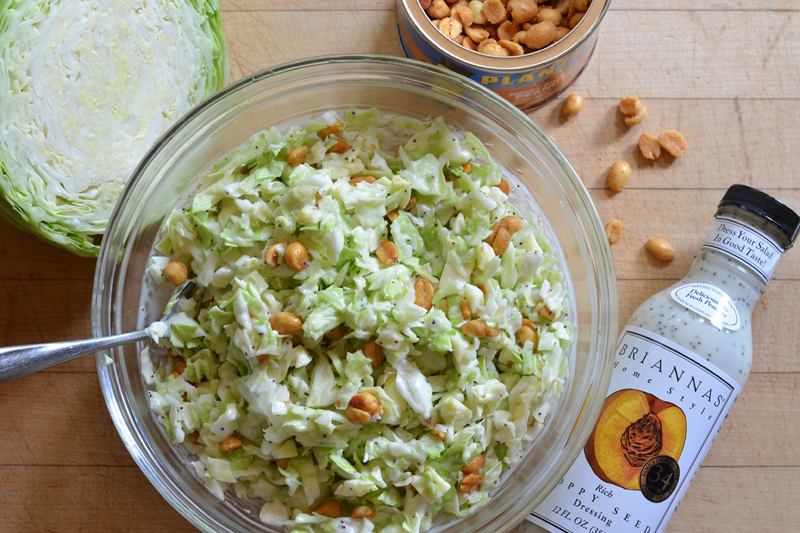 For crash test lunches, my mother always makes this coleslaw as a side. We named it Crash Test Coleslaw because the workers ALWAYS ask my mom how to make it! Which is hilarious because they are all grown men! 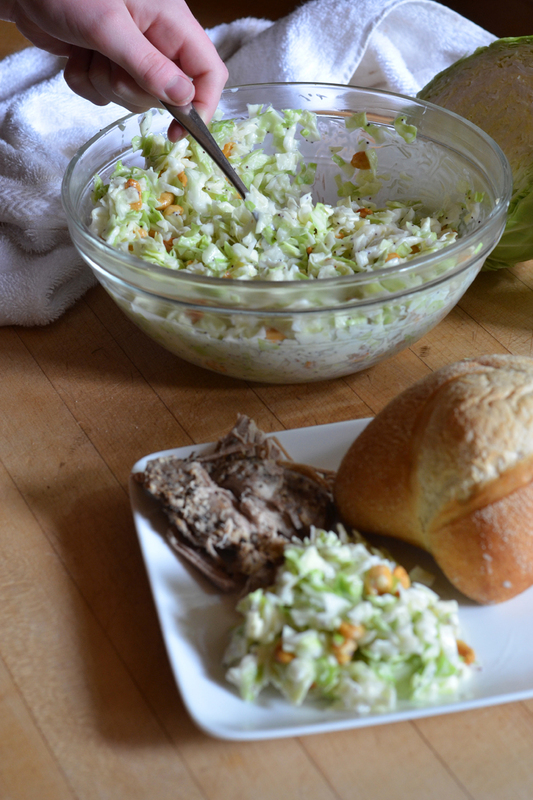 This coleslaw is so good that grown men are asking for the recipe, now how often does that happen?! Like never. 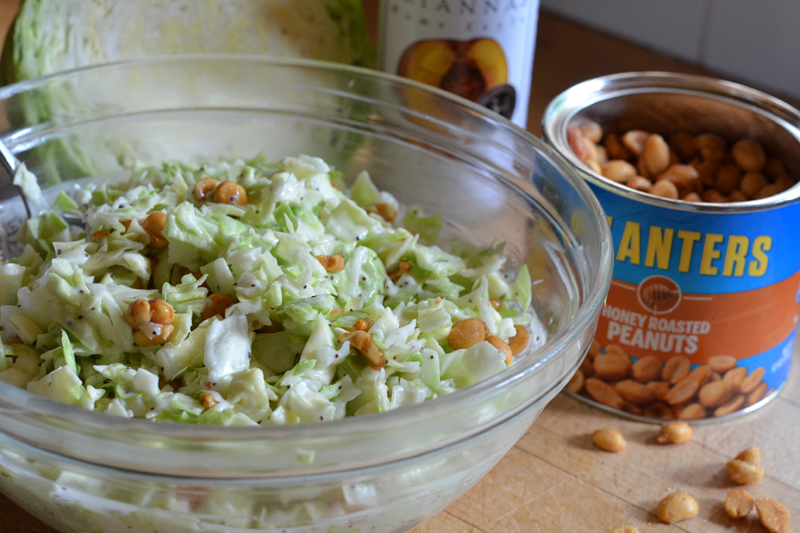 So here it is people: the easiest, yummiest, fastest, and BEST coleslaw in the entire world! 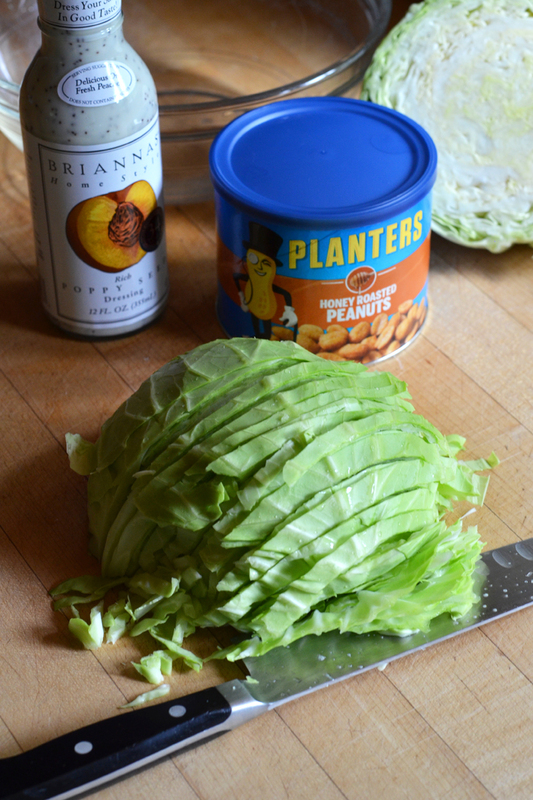 Clean and chop cabbage into small pieces. 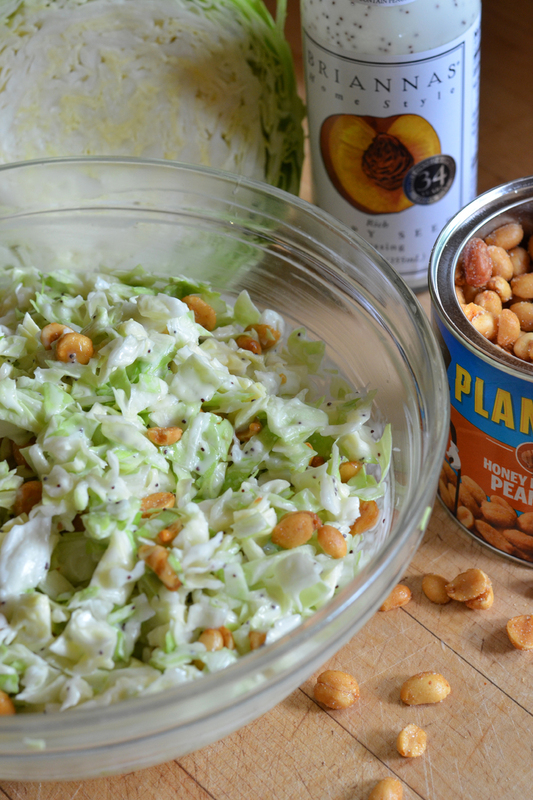 In a medium-sized mixing bowl, combine cabbage, poppy seed dressing, and peanuts. Serve and enjoy!